The UK Games Expo describes itself as the largest Hobby Games Convention in the UK. It has taken place in Birmingham for each of the last 11 years and attendance is in the low tens of thousands annually. It’s a three-day event, so the figure might have some triple-counting, but that’s still very impressive. It features organised tournaments and open gaming across a wide variety of genres: board games, trading card games, miniatures war games and RPGs, both tabletop and live action. Increasingly it features game-themed entertainment events as well. (It’s almost easier to define it in terms of what sorts of games it doesn’t focus upon: traditional mind sports, physical games and digital games.) While far from all exit games players have interests in these fields, enough of them do that this seems to pose an obvious opportunity: people who go to the UK Games Expo have a much larger-than-average chance of being interested in exit games. There is a plan to have some sort of industry-wide presence at the event. 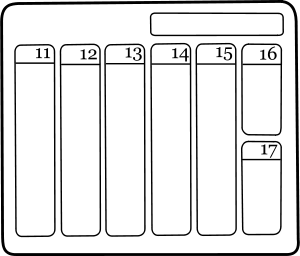 Potentially there will be a bespoke game to play, showcasing what a number of different exit games have to offer, but which will need considerable manipulation to fit into a convention context. There would also be the scope to heavily advertise your exit game brand at the event. 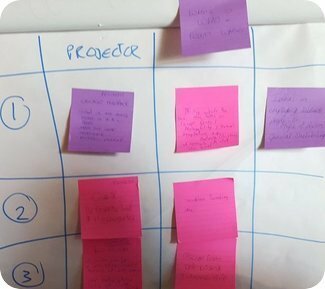 More on this may emerge at the next unconference on 10th January, as previously discussed, but there may be no spaces left for it, so the best way to find out more would be to get in touch with Liz Cable. 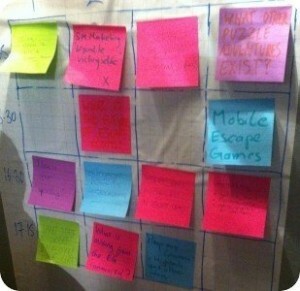 I very much enjoyed my time at the latest “The Great Escape UK” Unconference in Leeds today. There were about 27 attendees by the end of the day; I enjoyed catching up with some from previous events and just as much enjoyed meeting others for the first time, some of whom had been on my “it’d be nice to meet some day” list for quite a while. The venue was Dock 29 in the Leeds Dock area, which looks very smart; while there is a water taxi giving free rides from (very near) the train station, there isn’t a good system for letting people know when the water taxi isn’t running, and sadly this contributed towards me only being able to attend the last four and a bit hours or so. (Unconferences are a little stranger when you can’t attend the planning-on-the-day stage at the beginning… though I probably could have stuck a session note onto the board if there was something burning that I had wanted to discuss.) Jason Stroud of Thinking Outside The Box was the only known person to travel from the UK to Chicago for the Room Escape Conference last month and I was disappointed to miss him presenting his findings; the rest of us will have to settle for this review video. I believe that organiser Liz Cable will be putting together a more formal description of the sessions at some point, as well as co-ordinating the collation of the notes that people took. After a buffet spread that looked as good as it tasted, Liz took eight or nine of us around her Code-X pop-up game, a few doors down, that sadly has to close on Sunday 18th and clear out shortly after. The aesthetic is distinctive and likely very effective, and there are as many surprises as you’d hope for. A tour can never match up to playing the game for real, but this did look like a treat. 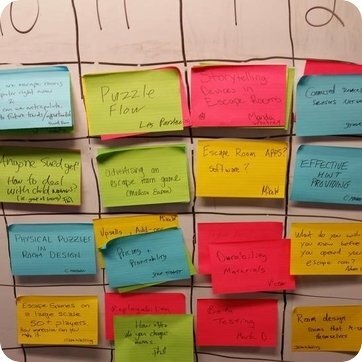 In the afternoon, there was a session on potential for interaction between escape rooms and academia; without wanting to get too “one weird trick” about it, there do seem to be revenue streams that might be able to be tapped by escape room creators who can reframe the advantages of what they offer in ways that universities will want to hear, far aside from the obvious one of having students coming and playing your regular open-to-the-public game. There was also a fascinating session comparing academic models proposed over the years for game players’ motivations, discussing the extent to which they may or may not apply, and giving practical applications of the most promising-looking of these models to the escape room context. Escape game web sites often tend to promote their offerings in fairly similar fashions, which may be relatively generic when something more tailored to differently motivated groups of players may speak more directly to them. Past unconferences have often generated a spirit of “sure, it would be great to work together!” which has not generated practical activity. The end of the day had some attempts to be slightly more concrete about initiatives which seem to have common purpose: a smarter approach to insurance (are some people paying too much? Do companies’ insurance policies really cover you?) as well as potential to investigate group buying where it makes sense, and places where the industry as a whole might promote itself more usefully than individual brands doing so. Exciting times! Lots to think about; many thanks to Liz and the attendees for putting the day together. The next unconference will be on Tuesday 10th January 2017 at The Steam Room, part of “Drink, Shop and Do” near King’s Cross Station in London; it too should be a treat and booking is already open. Being the second Tuesday of the month, of course, that will be a Puzzled Pint night, so don’t forget about one really good, relevant opportunity to socialise afterwards! The second “The Great Escape UK” unconference took place in London on April 25th. People took notes from many of the sessions at the time. A few sessions remain unscribed and attempts to chase the sessions’ scribes have proved fruitless. However, as something is much better than nothing, please enjoy the notes that have survived from most of the sessions; if you are in a position to add to them, please do so. The third “The Great Escape UK” conference will take place in Leeds on September 6th, also known as next Tuesday; specifically, it will take place at Dock 29 between 11am and 7pm. Take a look at previous unconference coverage on this site to see whether it sounds like your cup of tea; if so, book your ticket now. You’ll need to pay for your ticket at the time of booking because (a) booking includes lunch and (b) there were many people who booked free tickets and didn’t turn up last time, so there were plenty of other people on the waiting list who wanted to go but couldn’t. Unrelatedly, but still excitingly, on the day after the London unconference, 32 escape room owners, staff and players visited the The Crystal Maze attraction in London. Yesterday The Sun suggested (and, today, reports have reached as far as the BBC) that there will be a one-off revival of the show on Channel 4 for their Stand Up To Cancer night on October 21st. There won’t be a full-scale maze made for a single show; Buzzfeed report that the event will be filmed at the attraction in London. This is an extremely spectacular setting for an event you’ve paid tens of pounds to play in person and a somewhat unspectacular setting for a TV show featuring a team of celebrities. We shall see, and hope that it proves a prelude to a full-scale, big-budget soup-to-nuts revival of the series at a later date. In London today, the second The Great Escape UK unconference for exit game owners and enthusiasts took place at the Pavilion End pub. Though I do say so myself, I reckon it went pretty well. The schedule started with an icebreaker and a panel where six attendees at the recent Up the Game conference in Amsterdam shared their highlights; the main body of the day had four rounds of discussions, each featuring four parallel discussions on topics devised by the audience. The photo above was taken between the third and fourth round of topics. There are just over forty faces on the picture above, and there were other people out of shot (getting drinks, using the facilities and so on) which feels about right. LEGAL ISSUES FOR UK ESCAPE GAMES: health, safety and risk management TRANSITIONS: closing, selling, moving or expanding your escape room. Thank you very much to James, Ken, Jackie and Mark, to Liz Cable who ran the first such unconference in the UK, to the staff of the Pavilion End pub and to all the guests who came up and supplied their expertise. More details of the talks will be made available as soon as possible. Apologies to people who wanted to go and couldn’t attend; despite a reasonably high no-show rate, the room was pretty cosy as it was. Keep your eyes peeled for the next event, likely to be back towards the north of England, probably in another three months or so; the UK Escape Room Owners will be one source of information and the blogs will surely be another. Tim Horwood, co-proprietor of forthcoming Derby exit game Make Your Escape was one of several UK exit game owners to visit the Up The Game conference in Amsterdam in the Netherlands last Monday. He kindly wrote about his experience for Exit Games UK. The first International Escape Room and Real Life Gaming Conference in Europe, Up The Game, was held last Monday in an impressive venue in Amsterdam, attracting operators and enthusiasts from over 30 countries. Ahead of the opening of their own escape room in Derby this Summer, the Make Your Escape team travelled to the Netherlands to review the conference and chat to some of the speakers. Taking advantage of the influx of enthusiasts were several local operators keen to advertise their wares and services. We took the 40-minute train to pretty Maasland near The Hague to try out the “Escape Bus“. Its proprietors, Dennis Hunink and Peter de Vette, ardent followers of all things Arduino, kindly met us at the station, offered us a couple of free drinks before the game, and then locked us on their bus, parked in the middle of the beautiful setting of a farm/campsite. The lights went out, and 60 minutes ensued of what might be best described as a Speed movie with flashing LEDs. The Escape Bus was, truly, inventive and exciting… despite our failure at escaping although, in our defence there were two of us and was aimed at four as a minimum. Then, when it was all over, the guys showed us how it all worked – a nice touch from operators clearly loving the industry and proud of their work. So, onto the conference and, I must admit, prior to attending we did think the price might be a little expensive for a one-day event. However, greeted by mobile escape room, Fenomena Logica, a freaky circus caravan nestled unconventionally at the foot of the steps to a modern building, we ascended into a bustling hive of what felt like the cream of the world’s escape room industry. There were not as many vendors as we expected, and it was very much about the speakers giving advice, and talking about their experiences. That said, it took a few brave souls to try out the “Famous Deaths” real-life art/research project, where the aim was not to escape from the confined, un-lit coffin-like space but, rather, experience the sense of smell surrounding famous deaths. We were told JFK’s was particularly popular. Derby’s escape rooms will have particularly strong narratives, as well as incorporating technology into their games, and so two of the talks we were most looking forward to were “Storytelling in Escape Rooms” and “Talking Tech”. These were two of, quite possibly, the most inspirational talks I’ve witnessed. Elles Van Asseldonk’s bubbly persona and passion was hard not to like, and she kept her audience gripped in the very same way she expressed that an escape room should. A co-designer behind local company “Logic Locks“, Elles gave away a series of spoilers from one of her games to give us an insight into how to ensure the story flows through an escaper’s experience. Gloeidraad are a technical puzzle company, based in the Netherlands, but working with customers worldwide, and Raymond Reints expressed how player experience can be enhanced with a little Arduino here and there, the emphasis being firmly on stability, reliability and durability. Of course, we’d experienced Hunink and de Vette’s Escape Bus the night before where everything, tech or otherwise, had been reliable other than our own success in escaping! The UK was represented in the speaking department too. Alastair Hebson, a designer for video games such as Grand Theft Auto, talked about “Game Flow and Pace” in games, likening the experience of a game to a movie, where players need to be hooked and then entertained throughout the game. Again, this was an inspiring talk fitting nicely on from Elles’ storytelling earlier in our itinerary. The main stage featured some of the most influential names in the industry, and one thing which was clearly evident was the welcome and gratitude they received from the audience, both in awe of them and thankful of their playing a part in an industry we love. There was perhaps no-one quite as influential as Attila Gyurkovics, the founder of “Parapark” and the inventor of the Escape Room that we see across the world today. Due to timings and clashes between talks, we missed Attila, but the applause for him might well have been heard in the tulip fields around Amsterdam. Escape room games in education and training is, we know, a growing trend. Mark Hammons presented his concept of an open source project for educational purposes, “Breakout EDU” in one of the most enlightening talks. Rather than placing a group of children in a locked room, something which would certainly be frowned upon in the British Education System, children are invited to work together, logically, to unlock a series of locks and open a box – an ingenious idea no doubt coming to a school near you soon. Lisette Hendrikse’s “Legal Issues in Escape Rooms” advice Q and A session was popular and insightful, and Anna-Maria Giannattasio’s “Marketing for Escape Rooms”, incorporating her views on social media, certainly gave us at Make Your Escape food for thought. So, back to the UK’s representatives, and we welcomed Tom Lionetti-Maguire, and the team behind the The Crystal Maze tourist attraction in London. After a humorous false-start of a video intro, and blank faces from an audience largely made up of people who’d never heard of the Maze’s retro TV show, Tom won the crowd over with his charismatic charm, and the best presentation of the day. From an idea conceived in a pub, to finding premises, to getting the money together, to launching the business with no idea as to how successful it will be, Tom’s story was met by a wave of nods of recognition from the auditorium. It was when we caught up with the Crystal Maze guys in the bar afterwards that they revealed even more tales of changing Building Use issues, handling the media, and legal issues. Down-to-earth and incredibly helpful, the Crystal Maze team are clearly proud of what they have achieved; whilst many of us won’t be selling out for the next year as they have, or seeing the footfall of thousands of customers per month, they were inspirational and their presence in the UK can only help the escape room industry at a local level. There was so much packed into one day that, ultimately, the event proved great value. The Make Your Escape team brought a lot away with them, and have certainly discovered new technology that can be used in the Derby rooms, marketing techniques, and legal advice. The sheer sense of community, escape rooms working together, was very clear, and is a principle we hold strongly to grow this industry in the UK. One final word is for the organisers, who were courteous, helpful, and worked hard to make the event run smoothly, and the free bar at the end of the day was welcome! My only criticism, if there are any, was that some of the breakout rooms were a bit on the small size, but we’d love to see the event grow to a two-day one. Host Alexander Gierholz, an affable and keen presenter who welcomed and thanked the audience, but was also interacting with as many guest as he could, including us. His passion for the industry was clear, and he smiled optimistically when I asked if he’d put the event on again next year. We left him as he headed to try out the JFK experience, and after a long but fascinating day, we decided it was time to make our escape. Make Your Escape is the brainchild of Shelly Burton and Tim Horwood, perceived following a trip to Budapest in 2014. Since then, escape rooms have grown across the UK. 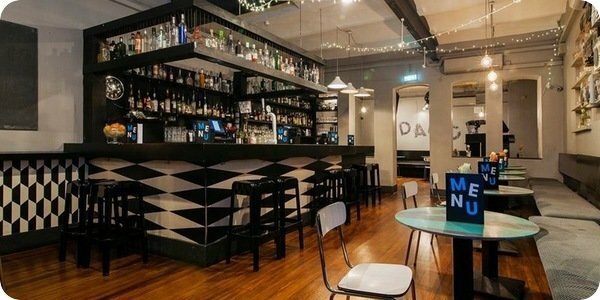 The two experienced escape room enthusiasts, working alongside experts from the escape room and the movie production sector, are about to open their unique escape room game in Derby. Set to open in May, there will be a strong emphasis on storytelling, traditional puzzles mixed with technology. 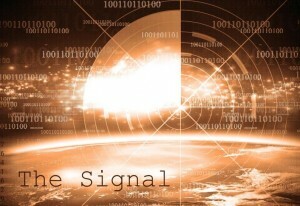 Two original games are penned, “The Signal” and “Spellbound”, with games aimed at 2-6 players in a former Derby College building in the city centre. Following reports of strange lights in the skies over Derbyshire, your team intercepts a distress signal, which leads you to an abandoned military bunker. Once the door closes behind you, you quickly realise the signal was not all that it seemed, the bunker was not abandoned and you are not alone. Work together as a team to solve the puzzles and escape. The truth is in there…. There will be an unconference about exit games and related topics happening in London on the afternoon of Monday 25th April. It’s a sequel to the one in Leeds in January, with further quarterly-ish editions around the country (and maybe beyond, some day?) to follow. You might have seen the announcement already. This site hasn’t talked about it because only now have the details been absolutely finalised. Some people have registered already only knowing that it’s in central London on Monday 25th April. Those haven’t changed. Other changes have been forced. The time has had to be changed. The event will be happening from 1:30pm to 6:30pm, because the room is only available for certain hours. The organisers have had to be changed. The event volunteer team is, well, most of the UK exit game blogging community: Jackie from Exit Games Scotland, Ken from The Logic Escapes Me, Mark from Really Fun and me. The price has had to be changed…. downwards. A hat will still be passed, and there’ll be a request for a voluntary contribution to pay for the venue and associated costs. What this will be will depend on how many people turn up (if people buy food and/or drinks from our private downstairs bar then this will help considerably) but it’s now possible to put an upper limit of £14 per person on it. Considering the number of tickets that have gone already, the limited number of tickets may well be reached, in which case there’ll have to be a waiting list. If this sounds like your cup of tea, please register as soon as you can. Site operators and staff are very welcome. People who want to get into the industry are very welcome; there will be few better opportunities to get the chance to pick the brains of many different site operators at the same time. Players who just want the chance to talk all afternoon in good company about these games of ours are also very, very welcome! The event is on a Monday, mostly because it’s traditionally the quietest day of the week for the industry. Whether you can make it or not, the more general Gamecamp has said that it’ll be running on Saturday 21st May this year, after a year off. That should be spectacular, too!